It's nearly the end of July and in Gilroy, that can mean only one thing: It's time to celebrate the stinkin' rose. 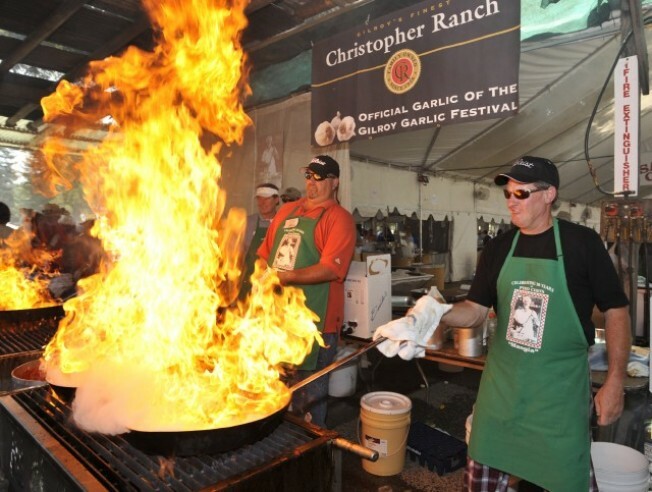 The world-famous Gilroy Garlic Festival kicks off Friday at Christmas Hill Park. From gourmet alley to the famous garlic cook-off and all the food booths in between, it's Gilroy's signature event. It seems the whole town plays a part in the festival. All the money goes to local charities. The annual party defines the people and the plant that put Gilroy on the map. "The whole community comes together, we all take stuff. I've got a barn, we store stuff in there. People have sheds, warehouses, garages and so it all comes together in this three-day party that we throw." said volunteer Debbie Hoey. "It's pretty cool." This is the 32nd year of the festival, which runs through Sunday.